1. Wash the fish well . Beat sweet and plain yogurt together with 1/4 th cup of water so that no lump is there . 2. Heat oil and add the onion paste and ginger paste . Cook them well adding water little by little . Now add the beaten yogurt . Add the fish and salt . Add the ginger juice and cover the lid . When the gravy is reducing add the coconut milk / regular milk . When the gravy comes to desired consistency add some green chilies and keep it on low flame for five minute with the lid on until the oil separates. 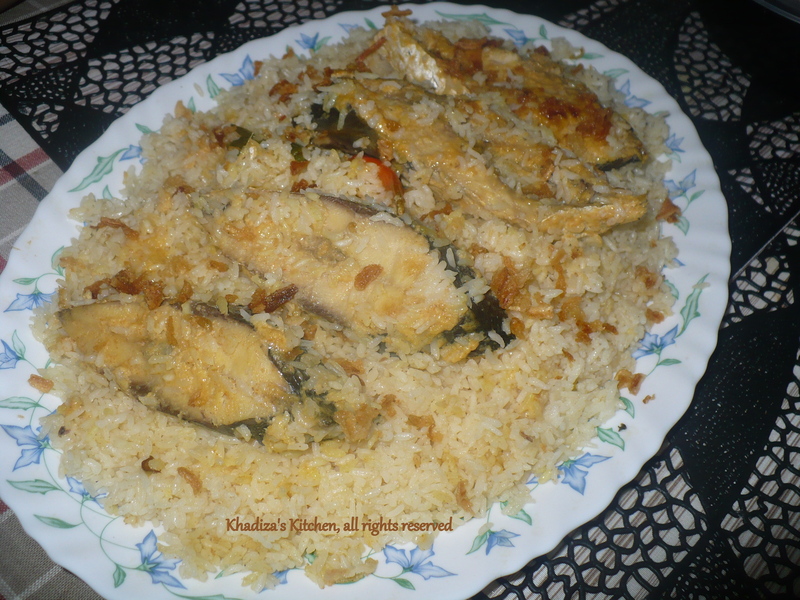 Your Ilish korma is ready !!!!! 4. Heat ghee+oil . Add the sliced onion and whole garam masala ( bay leaf, cinnamon, cardamom). When the onions are little brown add the ginger paste, salt and rice . Fry them well . Add the gravy into it . Mix well .It would spread the flavor of Ilish in every grain of polau. Now add 4 and half cup of hot water into the rice ( for every cup of rice , take 1 and half cup of water). Cover the lid and cook it on medium flame. 5. When the water is drying out, add handful of green chilies and reduce the heat a little . When the water dried out and your pulao is ready arrange the fish pieces on the top of the polau , cover the lid and place it on very low flame , which we call to keep on “dom”. 6. Be careful while serving . Take out the fish from the top of the polau . 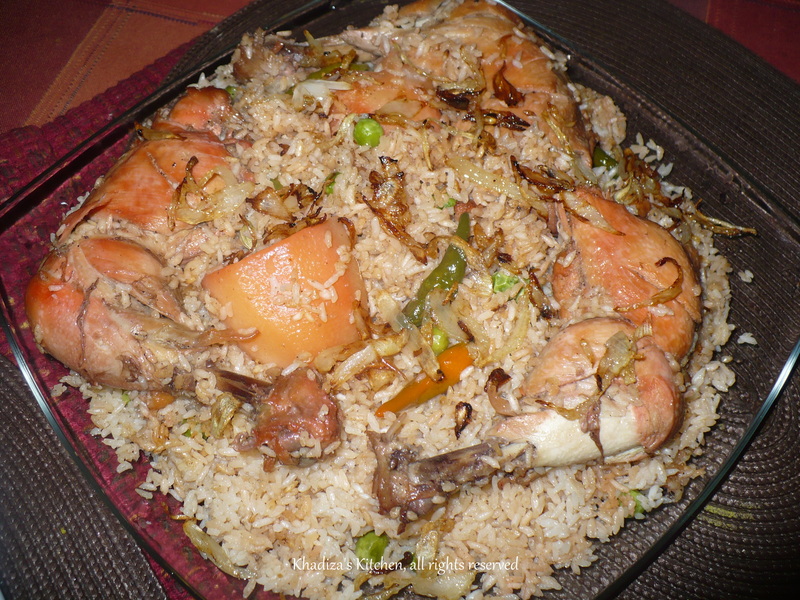 Take a serving dish and arrange polau and fish layer by layer . 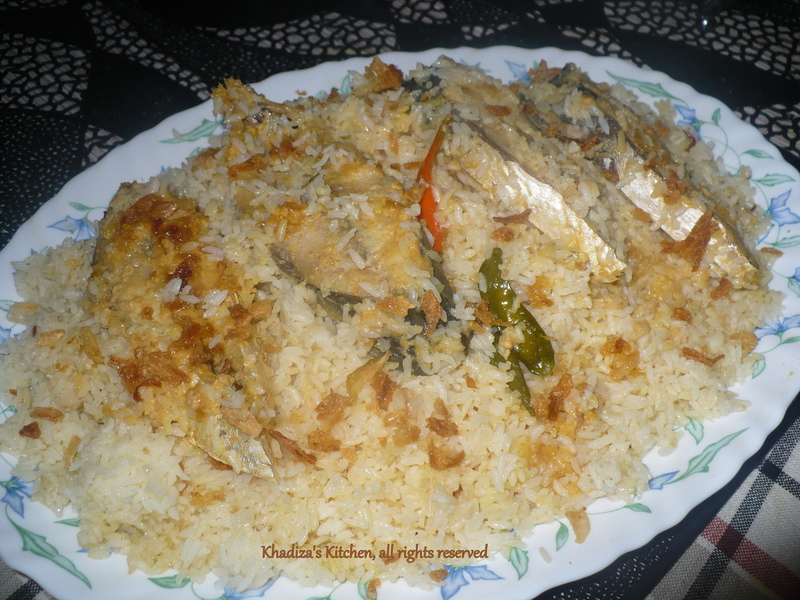 Take some polau and add few pieces of fish, cover it with layer of polau and place remaining pieces of fish on the top of it . Garnish it with Fried onion/ Bereshta . 1. Never fry the fish for Ilish polau .. The taste will be reduced , if you do so. 3. Many put turmeric while cooking the fish !!!!!!!!! It’s a “NO NO” .. 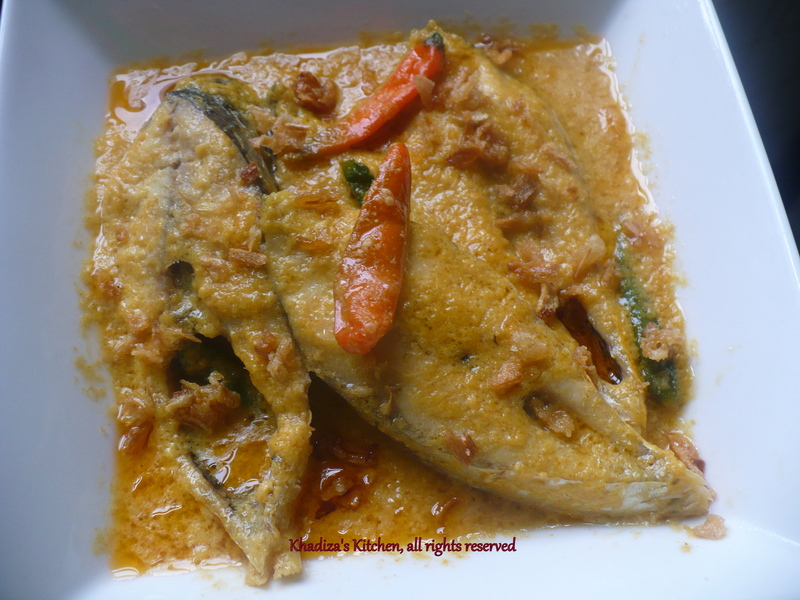 The korma for Ilish Polau should be real korma , without turmeric , chili powder . 4. Don’t put cumin in your korma . It may ruin the flavor of Ilish. 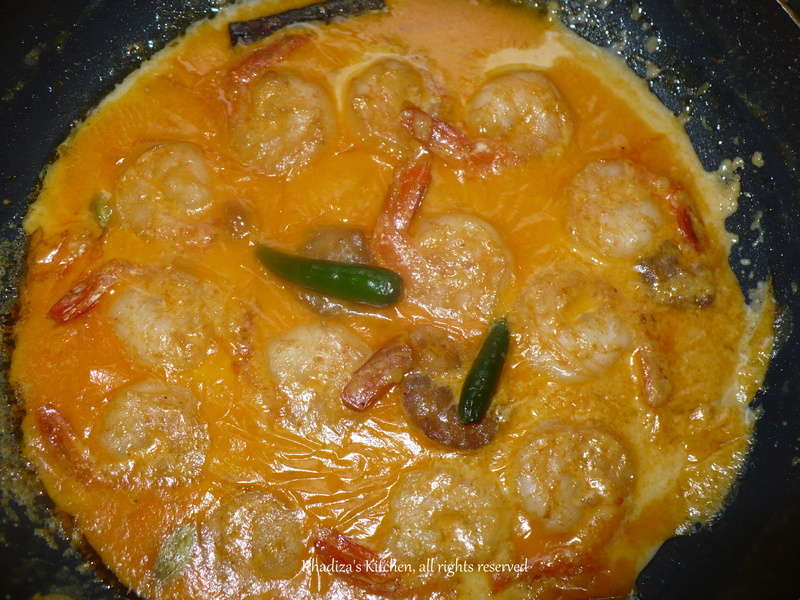 Combine all the ingredients together and make small ball out of them.Deep fry them on medium low heat and keep aside. 1. Heat oil/ ghee . Add whole garam masala..Add Chopped onion and fry until light golden brown..Add the ginger paste and fry a little while. 2. Now add the rice, soaked and drained well.Fry a little while. Add salt. 3. Add hot water. If you take 2 Cups of rice add 3 cups of water. 3. Cover the lid and cook on medium low heat. Don’t Stir. 4. After 10/ 15 minutes the water of the polau will be almost dried out. Then add handful of green chilies. Cover the lid. and keep it on very low flame, i’e to keep it on “Dom” as we say in Bangla. For dom , I use double boiler mrthod , which works like magic . See the notes for this method !! 1. For polau or something this sort, the ratio of rice and water should be 1 cup rice : 1 and Half cup water.So If you take 2 Cups of rice the water should be 3 cups. 2. Always cook the polau on medium low heat. 3. Don’t stir after adding water, that would make your polau gooey and sticky. 4. After the water is almost dried out you can just loose the ends of the polau with a light hand not breaking the rice. 5. For keeping it on dom, you can alwayz use double boiler or bain marie system.It works great for me. Put your Polau vessel over another same size vessel, filled with water. Place it on the stove..Your polau will get the steam and you will be surprised at the beautiful, moisture free texture of polau. 6. Many use garlic in the polau..ewwwwwwwwwwww…Don’t do this..Ginger is sufficient to enhance the aroma and flavor of the aromatic rice.